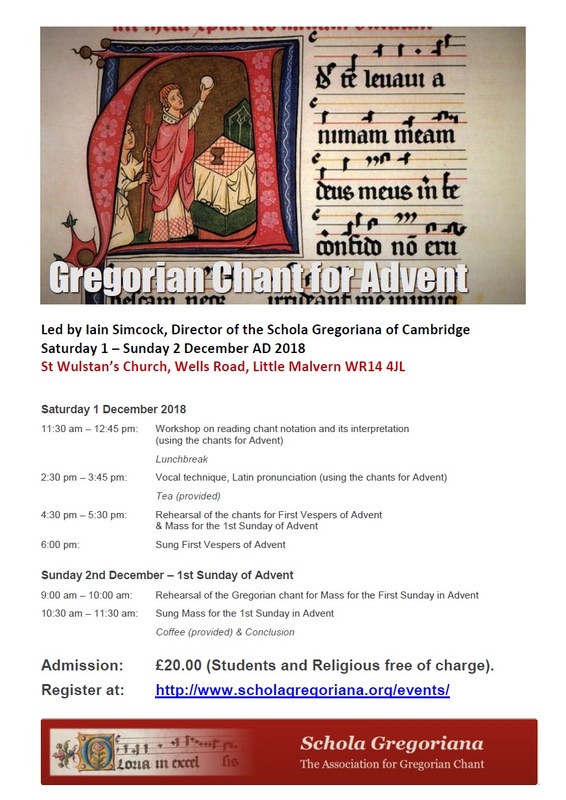 Chant Workshop at St Wulstan’s, Little Malvern (click for a map) to be organised by Iain Simcock of the Schola Gregoriana of Cambridge. Concludes with Mass on the Sunday in the Ordinary Form. Led by Iain Simcock of the Schola Gregoriana. Details are available at http://www.scholagregoriana.org/events/.